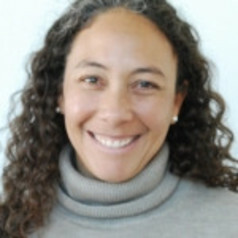 Dr. Angelina Sanderson Bellamy is a Research Associate at the Sustainable Places Research Institute. Angelina’s areas of expertise encompass food production systems and land use/land cover changes, using a social-ecological perspective. She investigates the social drivers, particularly governance and support structures, of environmental change and the impact of land management on the delivery of ecosystem services. Angelina received her undergraduate degree in Human Biology (Hons) with a focus on Sustainable Development and the Environment from Stanford University, USA. She then worked at the International Geosphere Biosphere Program in Stockholm, Sweden before she began her PhD at Stockholm University in Systems Ecology. Her PhD thesis focused on management practices in coffee and banana production systems in Costa Rica, with an aim to identify production systems that reduce the environmental impact of export crop production. After completing her PhD, Angelina was awarded a 3 year fellowship from the Swedish Research Council to work jointly with Stanford’s Wood’s Institute for the Environment and the Stockholm Resilience Centre on land use change and the forest transition in Costa Rica.